Such a fun silly but incredibly adorable cheese board! 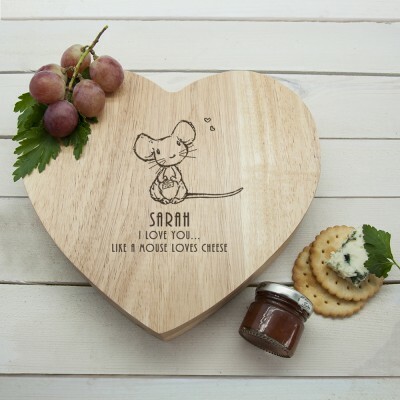 This board is designed with a super sweet mouse holding a tiny piece of cheese, the words 'I love you like a mouse loves cheese' come as standard. Personalised with a name of your choice.